Graduated from The Dental School of the Aristotelion University of Thessalonica, Greece in 1992. Completed her Master of Science Degree in Periodontics at the University Dental Hospital of Manchester, UK in 1995. Awarded an EEC scholarship and entered into a clinical and research attachment at the Department of Periodontology at the Royal Dental College, University of Aarhus, Denmark in 1995. Completed the Certificate in Dental Implantology at the Eastman Dental Institute in 2002. She is the Principal Dentist of Barkingside Dental Care and has been in Private Practice Limited to Periodontics here in Barkingside and Southgate North London since 1997. She is a member of the Hellenic and British Society of Periodontology and American Academy of Periodontology. Graduated from the Dental School of Athens Univercity Greece in 1992. Completed his 3 years Specialist Training leading to Master of Science Degree in Periodontics at the Royal Dental College, University of Aarhus, Denmark in 1997. In May 2005 he completed his PhD degree from the same University. Private Practice Limited to Periodontics and Implant Dentistry in Athens, Greece from 2000-2005. In 2005 he joined the Eastman Dental Institute (UCL) as a full time Clinical Lecturer and currently Senior Clinical Lecturer. 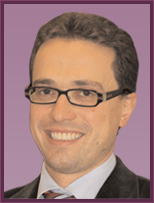 He is a Consultant Periodontist in two other Private Practices in the South East of England. Recognised by the General Dental Council as a Specialist in Periodontics. Has published a significant number of papers in international journals in the field of periodontal, Bone Regeneration and Implants. He is an active member of the European Association of Osseointegration, International Team for Implantoltogy, European Federation of Periodontology, Hellenic and British Society of Periodontology. Graduated from the Dental School of Palermo University in Italy in 2001. In 2002 he was awarded an EU scholarship and entered a clinical attachment in the Department of Maxillofacial Surgery at the Tampere University Hospital in Finland. Worked as a General Dental Practitioner in the UK from 2004-2007. From 2007 to 2009 he trained in Prosthodontics and Dental Implantoltogy at the New York University Colege of Dentistry where he was appointed as Clinical Fellow. 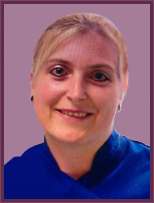 From September 2009 Nicola is a Clinical Teaching Fellow and currently Senior Clinical Teaching Fellow at the MSc and MClinDent Programmes at the Eastman Dental Institute in London. 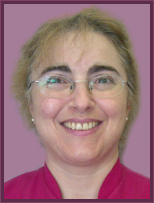 Nicola is involved with Research and has published articles in international dental journals. He is a member of the Academy of Osseointegration and American Dental Society of London. After working in UK as a General Dental Practitioner for a year, Eleni was accepted at Guy's Dental Hospital, King's College London, to do her Master's Degree in Endodontics. She completed the two year course in 2005 and since then she has limited her practice to Endodontics, working in the greater London area. 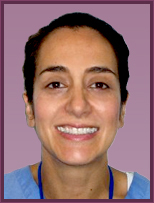 In 2007 Eleni was appointed as a Clinical Teacher at the Restorative Department at Guy's Hospital and since then she teaches Endodontics on a part time basis. She is a member of the British Endodontic Society and a member of the Langham Study Group. Bhavin graduated from The Royal London Hospital Medical College in 1999. 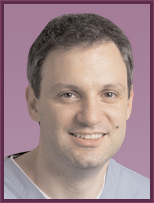 In 2003 he completed his MFGDP with the Royal College of Physicians. He has completed the Facial Aesthetics Masterclass at the Royal College of Surgeons, FGDP (UK) to provide Botulinum Toxin & Dermal Fillers in 2016. He has many happy patients who he treats with Btx A and Dermal Fillers. Bhavin is a platinum level Invisalign provider and treats a large number of cases on a year basis. He has achieved Masters level in the Aesthetic Dentistry with Aesthetic Advantage at New York University and trained with some of the most talented dentists in the world like Larry Rosenthal. Due to his dedication for continued education, over the last 3 years he has been studying Occlusion at the John Kois Dental Academy based in Seattle and travels there twice a year. He is also a senior instructor for the California Centre for Advanced Dental Studies based in the UK which coaches other dentists on veneer preparation and Aesthetic dentistry.Lastly, he has won awards such as 'Dentist Of The Year 2008', whilst his excellent work which has been recognized in the 'Cosmetic Dentistry' area. Having qualified from Birmingham Dental School, Dr Hanel Nathwani has excelled in the field of cosmetic dentistry. He has worked in a number of high profile dental practices in London and has a natural flair for cosmetic dentistry and dedicated the majority of his time to this art. He has attended numerous postgraduate courses all over Europe and the United States and has recently attended the world renowned Rosenthal Institute in New York and Peter Dawson occlusion course in Florida. Hanel’s creative flair means he is natural in providing facial rejuvenation procedures to patients using dermal fillers and Botulinum Toxin, to go in perfect harmony with the smile makeovers. Subaseeli qualified in 2001 in Sri Lanka . She gained full registration with the General Dental Council in 2004 and has been working as a General Dental Practitioner in several practices in London since then. Subaseeli has been involved in Community work under Walthamforest Primary Care Trust and has taken part in epidemiological oral screening survey in children age 3and 4 and adults with learning disabilitites . Subaseeli has gained a wide range of experience in all oral health procedures and her main interest is Preventative dentistry in the younger age groups. 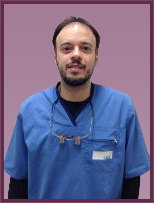 George qualified from the Dental School of Athens University in Athens, Greece in 2007. He also obtained a degree in Dental Technology in 2001. from Athens Polytechnic University , Athens , Greece. Private General Dental Practice in Athens, Greece from 2007 until october 2011. General dental practice in london UK since October 2011. Special interests crowns , bridge -work and cosmetic procedures. I qualified as a Dental Hygienist in 1990,I received the Certificate of Proficiency in Dental Hygiene which was the converted to the Diploma in Dental Hygiene in 1995. Dentists in Barkingside, Essex – Our dental team in Redbridge, Ilford includes cosmetic dentistry, Prosthodontics, Endodontics etc.